every Tuesday and Thursday until June 18th contact me if you want to play too! 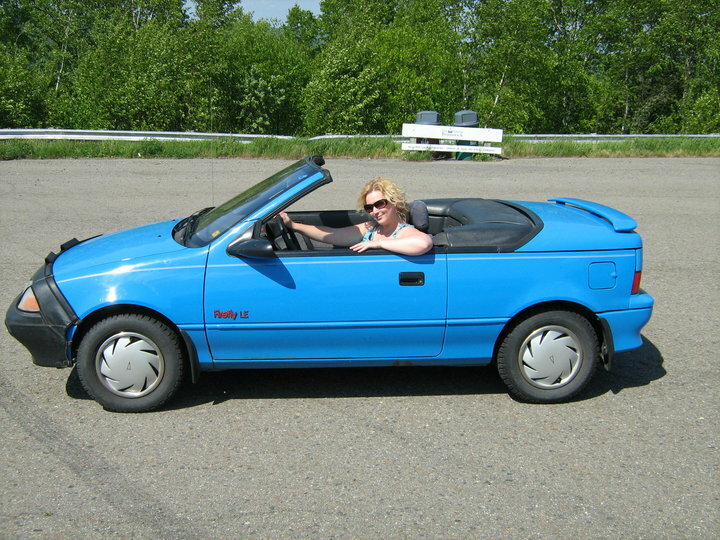 Memorable events of 1991: Operation Desert Storm, the death of Freddie Mercury, and the birth of my sweet summer ride, the Pontiac Firefly. 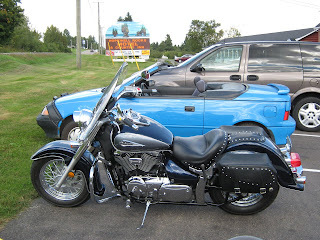 Barely bigger than a Harley, but I'm convinced it's twice as fun. 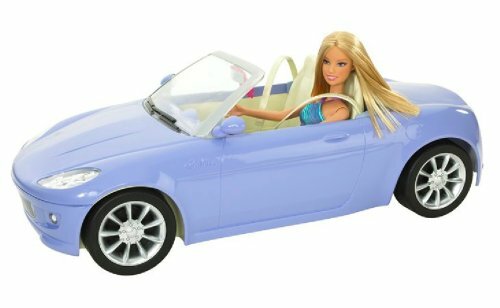 Some days, when my blonde hair is whipping in the wind as I drive down the highway, I feel like Barbie. 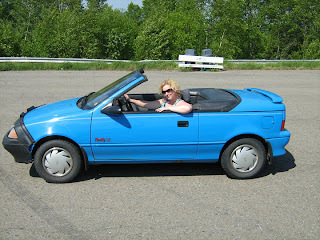 With only 55 horse power, it's really just a glorified riding lawn mower with two seats, but come on, it's an electric blue convertible! 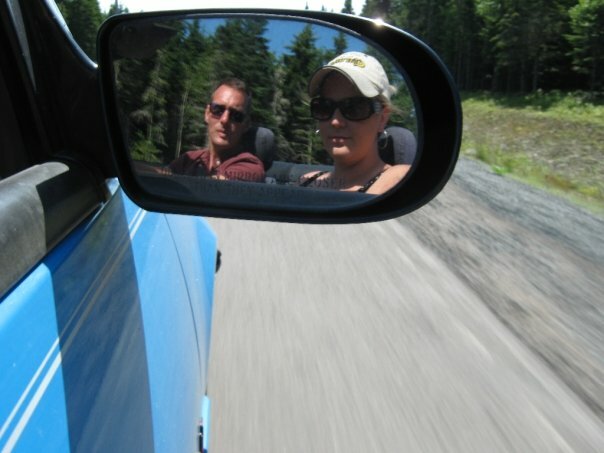 As far as I know, there are only two of them currently on the road in New Brunswick. 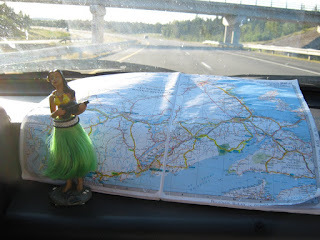 This is Ukulele Haley, our constant tour guide. We go old school in our car - real maps. No MapQuest here, people. We love our little car. There's absolutely no need for an air freshener in our car. Driving past pine trees, a field of flowers, or even the salt from the ocean, you get to enjoy every scent that our rural province has to offer. We've traveled all over our little province, and we're hoping to get further this summer. 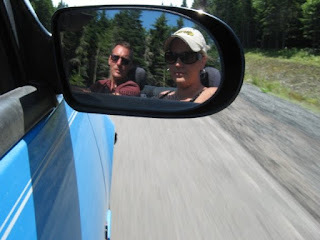 The destination point for this year are the rolling hills and stunning vistas of the Cabot Trail in Cape Breton. If you see us on the road, don't forget to wave, you can't miss us, we look just like Ken & Barbie! It is SO cute! I love this story. OMG I had the same hula.....love it! Wishing I had a Barbiemobile too! That's quite possibly the cutest car ever! That is the cutest car. 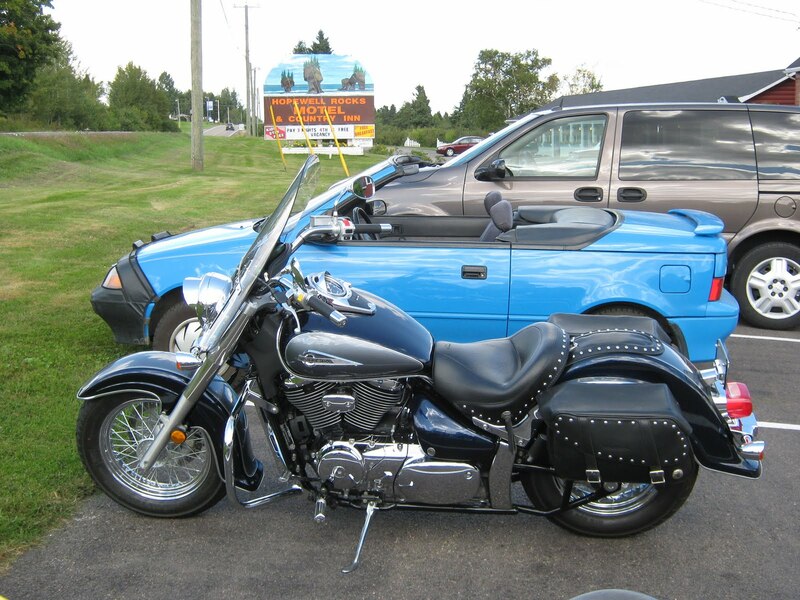 I will definitely wave if I see it rolling around the next time I'm in NB. 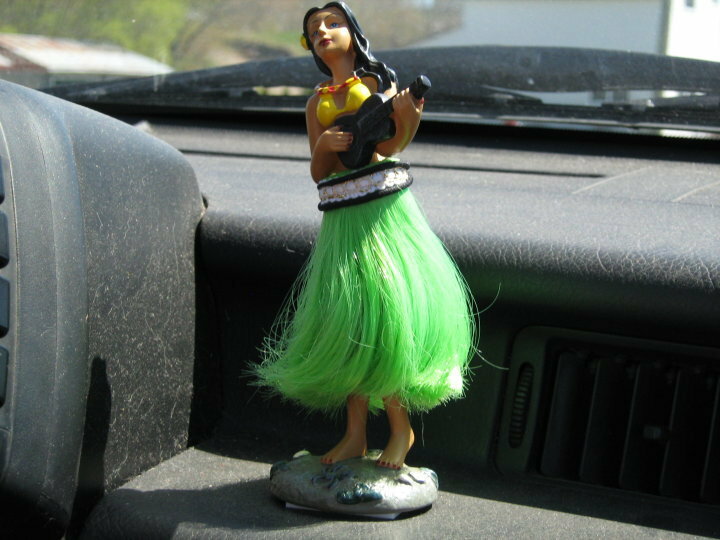 OMG I totally need the huka hula girl for our new Camero. i wonder if the BF would be down for having that up in the car. I mean it's my car he has his truck. LOL Where can I get one of those! You do look like Ken & Barbie. Lucky!